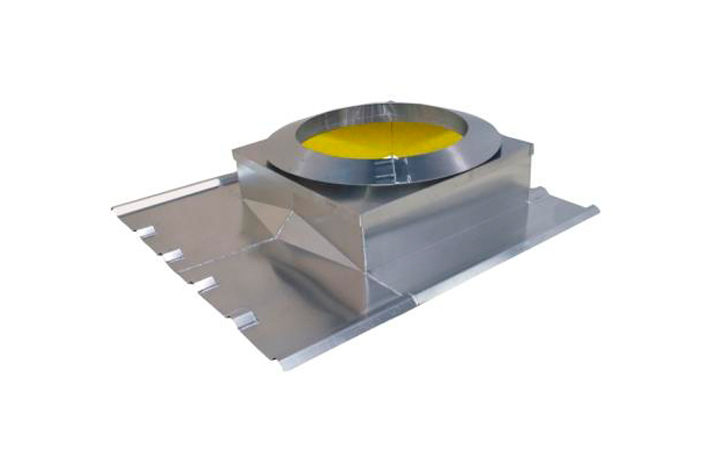 Square-to-round covers are used when you have a round pipe stack penetrating through the roof, which for metal roofs must transition through a roof curb or more conveniently through a Roof Curb System™. At RCS, we begin our square to round transitional cover design with the physical object's diameter that will be affixed through the roof. For pipe stacks 40” or less, the curb's outer dimension is 9” larger than the pipe diameter. The cover opening is designed 3” larger than the pipe to allow for 1.5” of thermal movement in each direction. The oversize storm collar is attached to the pipe stack and sealed with caulk to prevent leaks. For more information or to order your custom pipe stack curb system, simply Contact Us.